Hydrion Wide Range pH Litmus Paper is a general use pH paper. It has excellent colour separations to suit a wide variety of measurement requirements in the acid range (below pH 7) and the alkali range (above pH 7). The true 'Potential of Healing' is the 'Power of Hydrogen' (pH). To make informed choices one needs accurate information. Classroom Demonstrations, Hospital Laboratories, General Laboratories, Industrial Testing, Food Service, Safety Testing, Emergency Testing, Agricultural Testing In Vitro Testing. 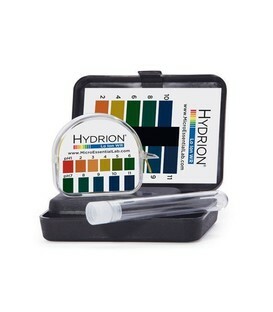 With a measuring range of 0.0 - 13.0 and precise pH matches at every 1.0 pH intervals makes the Hydrion pH Litmus Paper Test Strip Roll the preferred choice of our customers. 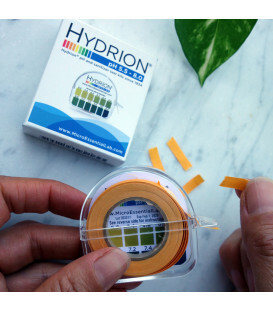 To use this product simply tear off a small strip (50mm - 2½") of pH paper. Dip litmus strip into test solution. Compare the instantaneous colour change with the matching pH colour chart. 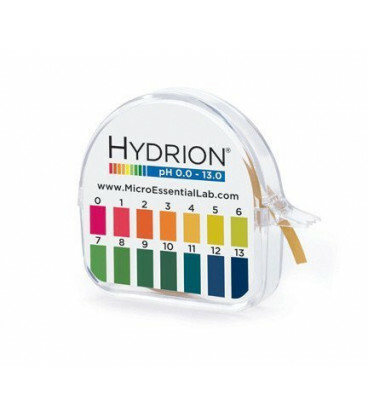 Can I use my pH Litmus Test Paper 0.0 - 13.0 to measure the pH of urine & saliva? 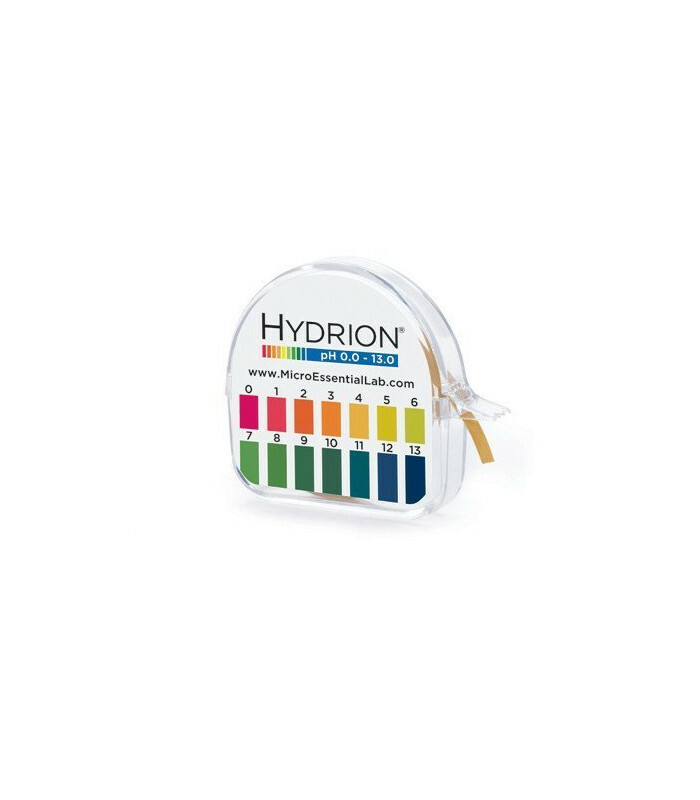 You can but as the body is designed to be in an alkaline state (pH 7.0) there is a more accurate option to be found in the pH Litmus Test Strip Roll 5.5 - 8.0 or the pH Plastic Strips 5.5 - 8.0. 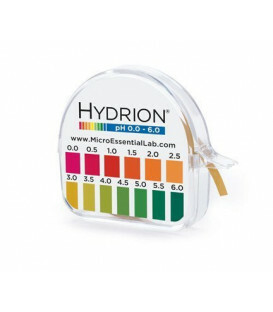 These two measuring products have pH measurement intervals in the 0.2 making them a better option for urine & saliva.